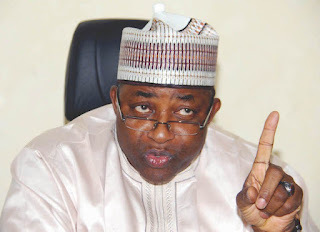 Governor Muhammad Abubakar of Bauchi State has congratulated the Peoples Democratic Party, PDP, candidate, Senator Bala Mohammed for emerging victorious in the just concluded supplementary election. He said “I congratulate my brother, Sen Bala on this victory at the polls. “I am delighted to note that in spite of the intensity of the campaigns in our dear state, a peaceful election took place without bloodshed. “Let me, therefore, invite the Governor-elect to join me in working out the process of a smooth transition. “I also urge governor-elect to caution his supporters to be law-abiding while celebrating since the period of campaigns is now over,” the statement said.